…. 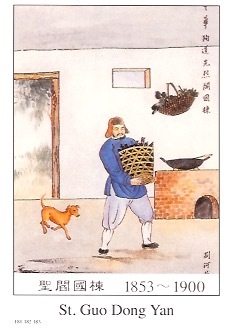 Although he was not a good cook, he had extraordinary stamina and zeal. He faithfully delivered meals, carried water, and fed the dogs, thus earning respect. He was down-to-earth, enthusiastic and very responsible. These must have been the reasons God awarded him the crown of martyrdom……He went to heaven to attend even a greater feast. St. Gou Dong was forty-seven when he died.